After clearing from a Motor Vehicle Crash on the New Jersey Turnpike the department was dispatched to 300 Broadway for Exterior Fumes. Chief 701 and Rescue Company 738 responded. 701 arrived and encountered a strong natural gas odor in the area of C Building. Rescue Company 738 arrived and stretched a 1 3/4” hardline to prevent the gas from entering the building. The Gas Main and building had been struck by an unknown vehicle. 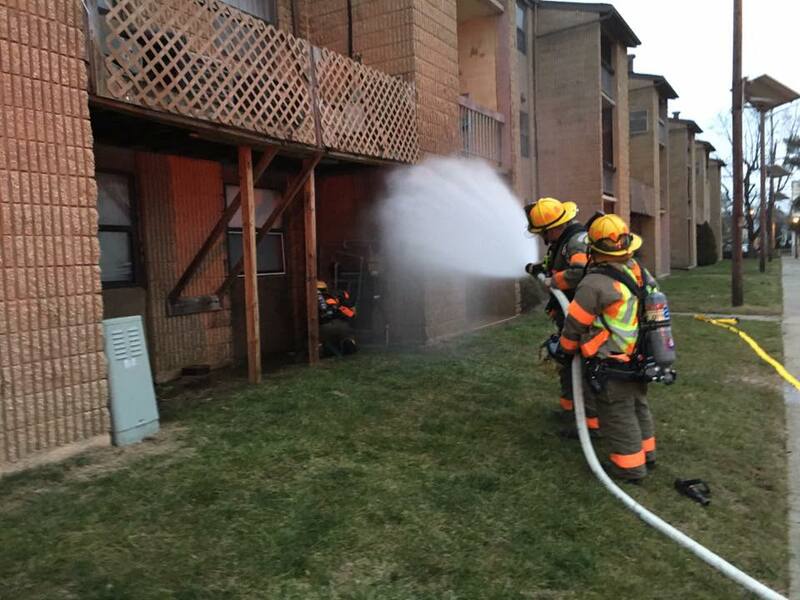 701 requested an upgrade to the assignment as all… 4 apartment buildings had to be evacuated. The gas main was secured eliminating the hazard to the complex. Crews evacuated all occupants, metered all the buildings for any potential hazards and residents that were displaced were sheltered in a near by church. 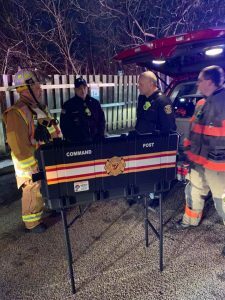 Companies assisting on the incident were National Park, Gloucester City and Verga Fire Departments along with Westville Police and PSE&G. Companies remained on location until the all clear was given by Public Service.